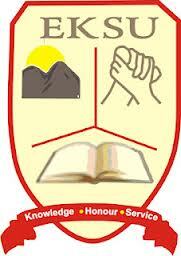 Ekiti State University, EKSU commences Admission screening/post UTME registration for the 2016/2017 academic session. Management calls it admission screening. The management of Ekiti State University (EKSU) announced some days ago that in compliance with directive of the Joint Admissions and Matriculation Board (JAMB), that they are no longer conducting post UTME, but yet, admission seekers are required to buy admission screening application form. An applicant who spoke to me said he paid N5,600 including bank charges for the screening. Even though there is no examination to be taken, the collection of money from candidates still continues on the guise of screening.